See what I did there? For anyone that reads this blog, it’s apparent that I don’t do things normally. Well, normal for the average home owner. I pick up tips and ideas from businesses and incorporate them into our home. My Rubbermaid kitchen storage is straight out of the restaurant kitchen. My husband is a chef, and he uses the workhorses in the kitchen at work and swears by them! We use three different types at our house; round, square, and rectangular. All are heavy duty, and all keep our food so fresh! 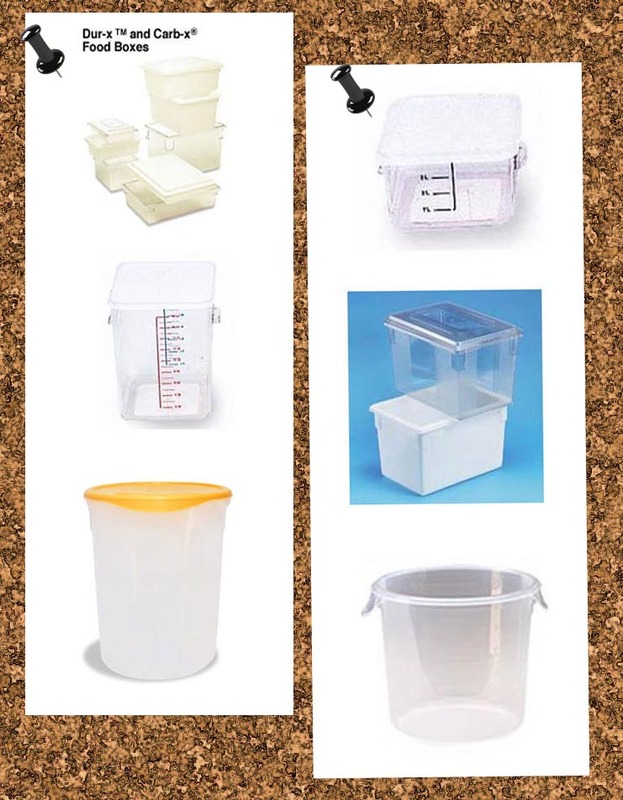 The square containers are my favorites, and I use them for flours (of which we have five different types), baking powder, corn meal, coffee, etc. Not only does it eliminate messy, bulky bags, but keeps the critters away. Unfortunately in Florida, weevils are a big issue. Also, they have convenient measurements on the sides, so I can pull out how much I need accordingly, with minimal fuss. The round containers I use for pastas. Like flours, we have a lot of pasta in the house. I’m Italian, so it’s what I do best and because of these fantastic containers, I buy a lot of pasta! Plus, I’ve used them for cereals, granola, flax seed and things like that, and they keep everything from going stale. I’m also keeping all of the Halloween candy that was left over in a spare. Shhhh, don’t tell anyone. The last one that I use is rectangular ones, and these are really my all-purpose containers. I store marshmallows (in the bag, air removed), granola bars, energy bars, Pop-Tarts…any kind of boxed item that is packaged separately. I just empty the packages into the containers and voila! instant organization. I’m all about organization, if you haven’t read some of my other blogs. I highly recommend, especially for you organizational brothers and sisters of mine, to purchase some of these gems for your house as well!